Located 32 kilometres from Auckland city centre, the Huia Settlers Museum has a collection of Maori artefacts, agricultural tools used by the early settlers, marine items and tools, rare photographs and historic documents among other fascinating items. Travel back in time as you learn about the civilisation and life of the early settlers of the Waitakere Ranges and Manulau shoreline- a part of Auckland that is unforgettable in the city’s history. 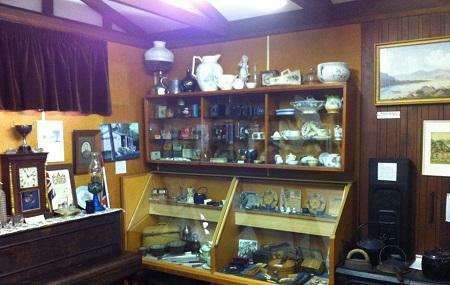 The Huia Museum is a great local museum that everyone passing through Huia should stop by and visit. It has an amazing range of artefacts from the surrounding region, as well as extensive documentation on historical events. The curators of the museum are incredibly knowledgeable as well, and will be happy to go into further detail about the stories behind any of the exhibits. For a small community this Museum is well run and a great vist. When I planned to go there I didn't expect too much. A small museum at far away road is usually a New Zealand shed with pile of junk inside. But I was wrong. Nice place, interesting things. Anchor dairy company historical items and dedicated room for sunked one and a half century ago ship. Highly recommend to visit.